Win this app April 11th, 2016! This app is not like the others. You can choose between 24 sensory experiences. The comprehensive settings make it easy to customize the experience for the user and the color palette offers different backgrounds which can be a terrific incentive for children. This app was created by Cognable. They have created other sensory apps and are really invested in helping those that struggle with Autism and Sensory disorders. 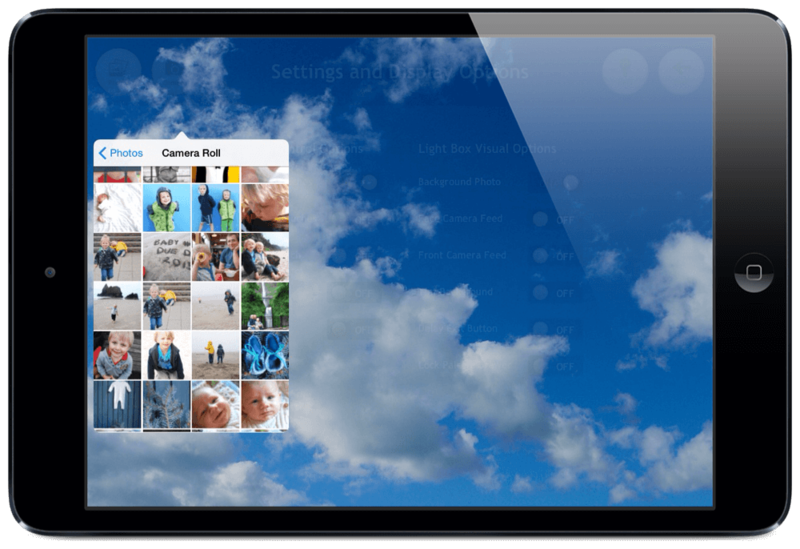 The developer has as freeware version of Lightbox for the desktop. You can access this on his SEN Teacher website which offers free learning resources for everyone. Be sure to check it out. Sensory apps and activities can benefit children and adults with various sensory disorders. Symptoms of this disorder might include: frequent temper tantrums, oversensitivity to touch, can’t calm self, struggles with eating, doesn’t want to be cuddled, plays too rough with others, can’t seem to sit still, and more. 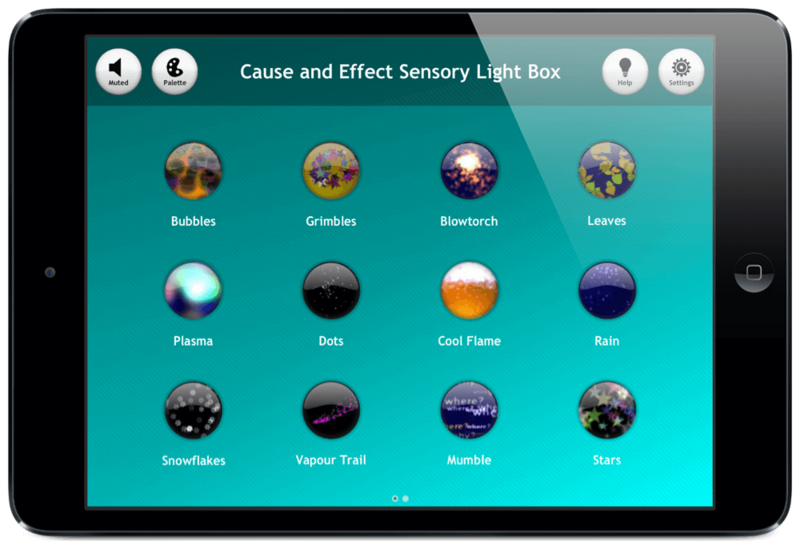 It can help for some children with these disorders to get extra sensory input which can include the Cause and Effect Sensory Light Box app. This is a subject topic that I spend a lot of time working on every day with my son who has a Sensory Processing Disorder. He also has high functioning Autism. I will discuss the different sensory scenes below and how they can help. 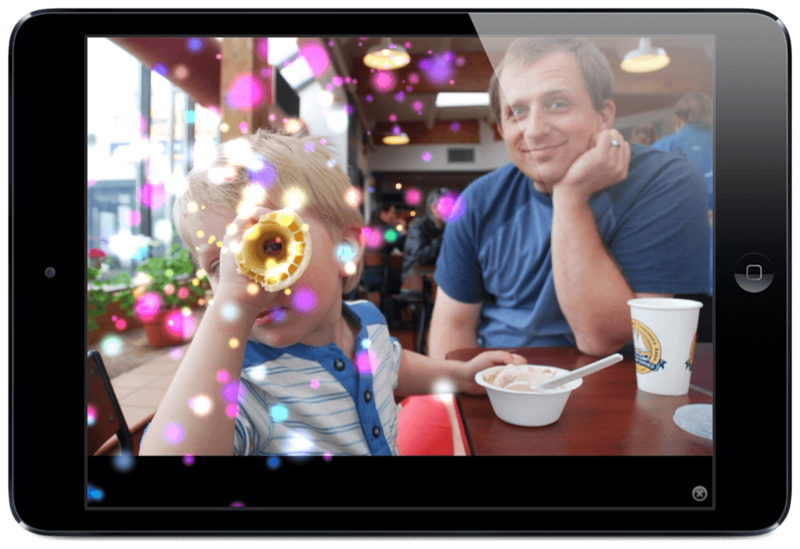 Unlike many other sensory apps, there are no advertisements or in-app purchases. Let’s get started. When you open the app, you will notice the app is very easy to navigate. You have 24 sensory scenes to choose from. These include: bubbles, grimbles, blow torch, leaves, plasma, dots, cool flame, rain, snowflakes, vapor trail, mumble, stars, glow worms, volcano, fountain, love, flowers, blobs, finger glow, splosh, nebula, brollies, reverse wrap, and electric eel. There are so many options. Many are calming and offer continuous flow movements. Some are short with easy to click shapes. They all have their own sound effect as well. I will talk about the customizations below but you can choose to touch it with one finger at a time or multiple. One shape that wasn’t included and I would have loved to see is balloons. My son loves to see balloons pop and they are a great incentive for a lot of kids that are sensory seekers. Another great idea for a later update would be to offer customized words that pop up in the “Mumble” scene so you could have your own name or favorite word to show up over and over again. My favorite sensory scenes were probably the Electric Eel, Love, and Rain. My son loved Nebula and Glow Worms. The customized settings are really impressive. You can choose between multi finger or single touches on the screen. You can change the background color, add your own photo background, or lock the palette drawer. You are always able to turn the sound off in the upper left corner. The sound effects are fun but can be overwhelming and would bother a number of children with auditory processing concerns. If you are familiar or interested in switch settings, like legacy switch, the app is set up for that as well. With switch control, you can control your iPad, or iPhone using a single switch. This is a perfect accessibility feature for those that need it. There is also a help button on the top right corner next to the settings. I found this helpful to get things customized. This app is very safe with no advertisements or links outside of the app but it does not have a passcode for the settings and so a child will be able to change things as they want to. 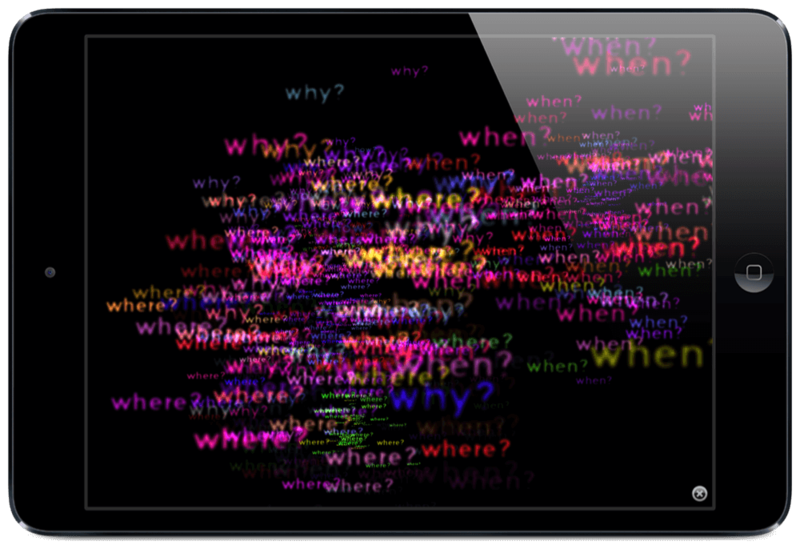 It is easy to navigate back and forth between different sensory scenes. I gave this app to my son when he was particularly struggling. It did interest and calm him down. Overall, I am really impressed with this app. It is likely the best sensory app I have seen that can work for a child and adult struggling with Sensory Processing Disorders. It offers so much and there are no ads! It also may benefit children with Autism, and Anxiety disorders to help with calming down. The settings are fantastic and very comprehensive. The one scene I would love to see that was not offered in the app would be balloons. I would also love to see a passcode set up for the settings so a child doesn’t get lost in there and change everything around. Be sure to check out Cause and Effect Sensory Light Box today! To learn more, check out the Cognable website. A sensory experience without the advertisements and cheap links to the outside. 24 sensory features to choose from. 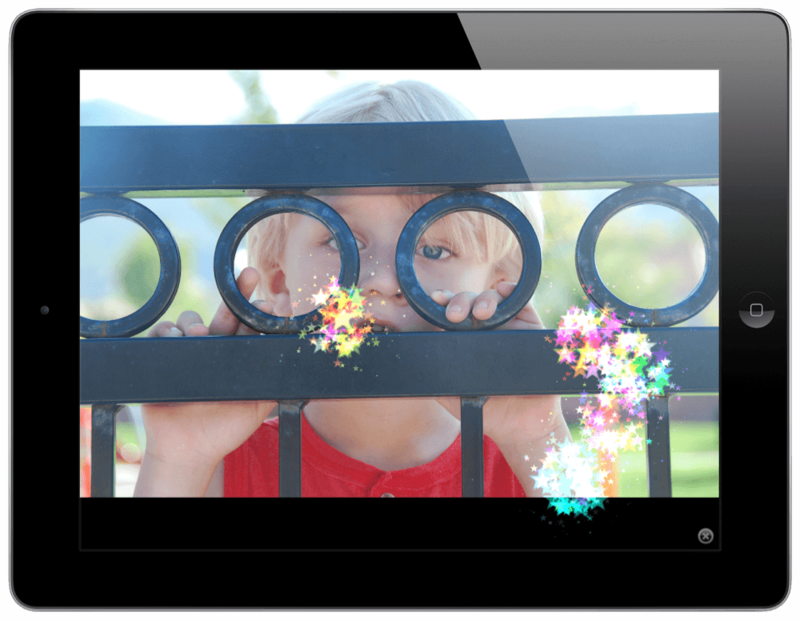 Download Cause and Effect Sensory Light Box in the App Store today!